From watching his colleague get shot in the testicles by a jealous producer to running Hollywood’s most successful television studio, Harris Katleman had a front row seat in the development of the television industry. 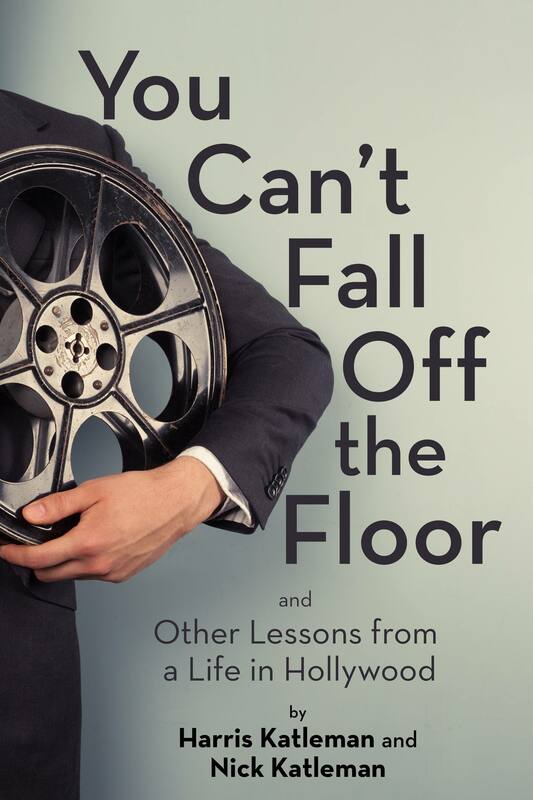 Destined to become a classic account of the business side of entertainment, this book shares what really happened in the early careers of Hollywood stars and the development of iconic programs. Through a number of hilarious accounts, Harris Katleman shares his journey from office boy to talent agent to television producer, and finally to studio head at both MGM and 20th Century Fox. Along the way, we meet industry giants including Rupert Murdoch, Bob Iger, Barry Diller, Marvin Davis, Kirk Kerkorian, Mark Goodson, and Lew Wasserman. This goes beyond the story of a life in Hollywood. It is the story of crucial developments—how motion picture film libraries were opened for television licensing, how The Simpsons was birthed, and much more. It is also a collection of vital life lessons for anyone aspiring to establish a career in Hollywood. The names are so famous and the stories so lively that this book reads like it was written about today’s Hollywood. Harris Katleman, the former president and CEO of 20th Century Fox Television, has experienced a long record of successes as a television studio head, a producer, and a talent agent. Starting his career as an office boy at MCA Artists, Katleman climbed the company hierarchy to head the TV packaging department in New York. He then took over West Coast Productions at Goodson Todman, controlling sales and administration of leading gameshows including To Tell the Truth, Password, and The Price is Right. Katleman left the gameshow business to become president of MGM Television, where he was instrumental in using his television slate to finance the company’s Las Vegas casinos. After co-running his own production company, Katleman assumed control of 20th Century Fox Television. In addition to overseeing production on the final four years of M*A*S*H* and Trapper John, M.D., Katleman cultivated notable projects including the award-winning and highly acclaimed series LA Law, The Simpsons, Anything but Love, In Living Color, NYPD Blue, and Picket Fences. Active in industry and community affairs, Katleman is a member of The Academy of Television Arts and Sciences. He recently completed a two-year term as president of the Hollywood Radio and Television Society. Nick Katleman is a screenwriter, novelist, and memoirist who grew up alongside a stock of entertainment professionals. After obtaining a degree in creative writing from the University of Washington, Katleman followed in his grandfather’s footsteps by starting in the mailroom of the eminent agency WME Entertainment. He has since jumped to the creative side of the entertainment business, writing books and screenplays in Los Angeles. Katleman is currently spearheading Storyflect, a private memoir service that offers custom, interview-based story albums from the perspectives of its clients.